Gold and credit cards have the same purpose and powers and can be considered very different from other forms of money. They both symbolize wealth status of individuals but can be very risky, especially with lack of discipline and responsibility. Apart from destroying wealth, credit cards have reduced a number of Americans into paupers because of misuse. The excessive credit limits coming with the cards can be very tempting, hence leading to misuse of the funds even in ways that are not necessary. The one thing that credit cards have done is thrown Americans and the country itself into debts which has in turn caused negative saving rates. The last three decades have been the worst as they have been paying for their living expenses using credit cards. On the other hand, the credit cards have robbed them of their trading stocks and assets which have in turn disintegrated lots of wealth within a very short period of time. Crazy spending triggered by the availability of credit cards has suffocated institutions and the nation as a whole growing the deficits and debt to humongous proportions. New and fresh government projects are coming up in spite of the fact that there is not enough money to even cater for those already tabled. With all the debts, the question still lingers, who will pay all the bills? This will not only affect the current generation but also the generations to come as they will inherit national and personal debts that already exist in the world. The worst is that the debts are growing by the day adding to liabilities of millions of dollars. The government’s attempt to match monetary irresponsibility through the unprecedented rate of printing money has been futile and will in turn increase the poor state. Gold remains to be the only trusted medium of exchange that is worth owning. This commodity will not only benefit but will also protect wealth even during dollar depreciation and hyperinflation that may stir financial markets and American wealth in general. Gold is a safe and solid store of value in all ways. 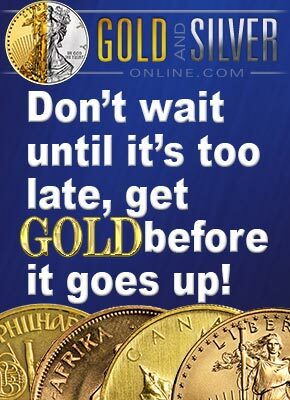 Instead of wasting credit card funds, one can consider buying gold coins. By doing so, the future will be more secure.